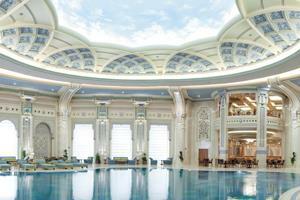 The Ritz-Carlton Hotel Company is opening its first hotel in the Saudi Arabia capital of Riyadh on 24 October. The 493-room venue incorporates 49 two-bedroom Royal Suites, 5,760sqm of conference space, two 1,951sqm ballrooms, a pair of theatres and several smaller meeting rooms. The hotel also features four restaurants and an indoor swimming pool. The Ritz-Carlton, Riyadh was designed by Al Rasheed Engineering Company and developed by Oger International.